I am 56 years old, male. Last September, I was a month away from running my first 100 mile Ultra-marathon. I over trained which caused ankle impingement. 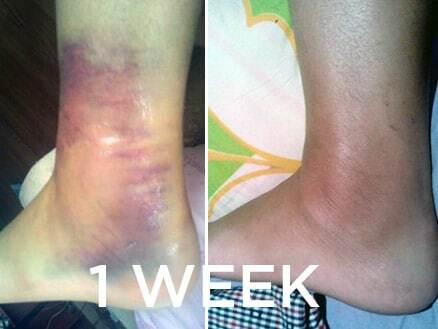 I searched for a quick ankle healing plan and found you guys. I didn’t run for 30 days leading up to the 100 mile race. I did the ankle program to the letter. And I ran the 100 mile race without issue. This site has been a great help in recovering from a torn ligament in my ankle. I would definitely recommend to others. 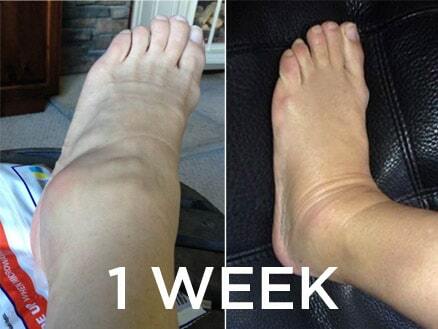 The ankle program worked great! I was able to ski within 4 weeks. Thank you! I seriously sprained my right ankle in mid January while training for a February 24th Half Marathon. I purchased the program around February 13th at a time when I could barely walk 3 miles without pain and swelling. I applied HEM every darn day until and including the day of the event. I am grateful and proud to say that although SLOWLY, I was able to finish the Half Marathon within the time allotment! As one would predict, I had a flare up from the extra time and mileage - so I continued for 21/2 more weeks with the daily regime. I am virtually pain free at this time. My next steps will include trying to hone in on a regular sleep pattern and reviewing the strengthening exercises. I have enjoyed a few weeks off from running and substituting walking. It is likely I will sign up for another Half Marathon scheduled in November to help motivate me and put focus into training. Thank you for your product! I’m so happy I found your H.E.M program! I tore my ligament as I came down my stairs. Worse pain of my life. This grade 3 ankle sprain is no joke. Your sessions have helped.